Keep Wakulla County Beautiful (KWCB) is non-profit 501(c)3. 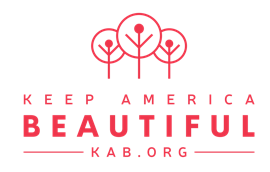 It is the Wakulla County affiliate of Keep Florida Beautiful and Keep America Beautiful (KAB) organization and is in good standing. Each year KWCB does projects that have a positive impact on our county. According to the KAB Cost Benefit analysis in our KAB annual reports, for every dollar spent, an average of $11.00 worth of benefit is realized. This value is calculated to include the dollar value of volunteer time, donated goods, private, non-government monies raised through fundraising, awards and grant funding (not including the current Litter Grant). Since 2017 KWCB has provided benefits to the County in excess of $400,000. Adopt-A-Road currently has 97 miles of local county roads covered by volunteers who clean a minimum of four times a year. We hope to expand those numbers in the near future by advertising to get more roads adopted, purchasing signs and replenishing supplies to offset the personal costs to these volunteers. On the third Saturday of September we host the annual local Coastal Cleanup in conjunction with the Ocean Conservancy, International Coastal Cleanup. The International Coastal Cleanup brings together volunteers from all over the world to clean the shorelines in 52 countries on the same day. Historically, this single event, has brought volunteers to our county from as far away as the Netherlands and in numbers in excess of 700 participants. On the day of the event, we also provide garbage bags, gloves, and pickers. We have a contest with a cash prize for collection of the most cigarette butts. After the cleanup everyone is invited to come back to Woolley Park for a free picnic lunch, all complimentary and supported by the donations we receive. September 2018 – Coastal Cleanup – the annual event to clean the shorelines at the coast, rivers and lakes in Wakulla County. March 2018 – Apalachicola National Forest cleanup – this annual event is a major undertaking since reports are that the forest is in dire need of this cleaning. KWCB will be working with Waste Pro to secure dumpsters at strategic locations to assist the volunteer’s dispose of trash. Education – we need to train volunteers to participate in all our schools – training our young children on the importance of caring for our environment. We need to produce an easy to understand brochure. We need to have handouts ready for groups and organization to use as training materials on subjects including recycling, sustainability and good stewardship of our natural resources. Festivals – we have booths whenever possible and need handouts with correct information on how to get involved, what you can and cannot recycle, and what happens if you don’t. We have a timeline game that we use to engage both children and adults that represents how long things take to decompose. In summary, KWCB does a lot. We recognize how important education of good practices is for the community. We hope to reestablish many of the former events that were successful, and strive to be creative in establishing new programs and events. With continued funding for KWCB, we can continue to see the improvements in our county.